This morning we woke to a light rain. The air was cool and the rain sounds were soothing, it would have been the perfect morning to sleep in. But Boise awaits, so we waited for a brief lull in the rain, packed up our tent, and headed towards the Yellowstone West Gate. 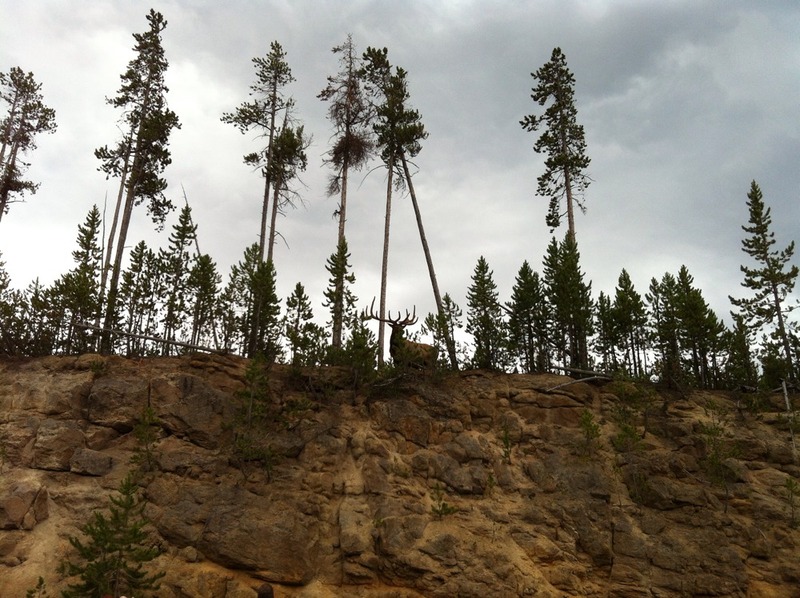 On our way out I’d the park we encountered a pair of elk grazing on a cliff above the road. The antlers on these guys were amazing. One of them seemed to be posing for pictures as he would occasionally lookup from his meal and hold his head up to put his antlers in full display. Half way to Boise we stopped in Pocatello, ID. Idaho State University is located here. The downtown area was very nice with a bunch of little shops and restaurants lining the streets. 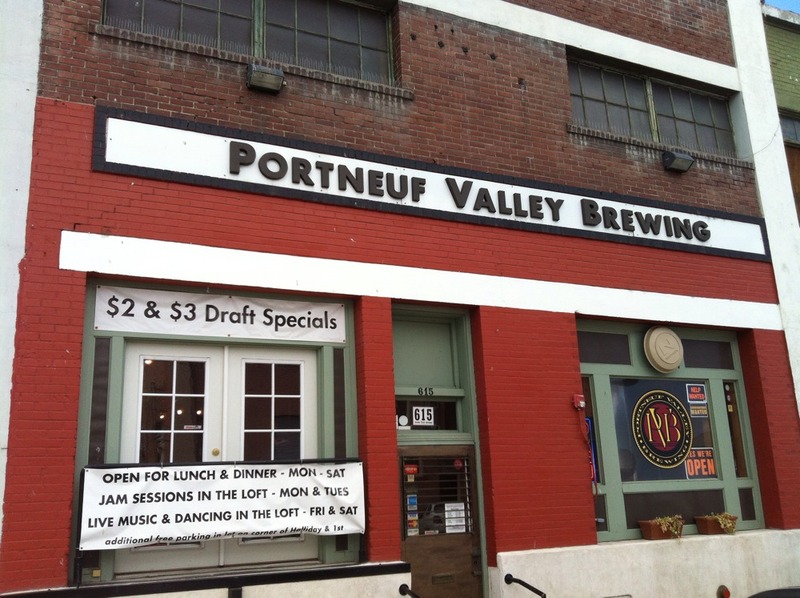 We were on a hunt for some good beer which brought us to to Portneuf Valley Brewing. The beer and food were good although the selection of hoppy beers was a bit limited for our taste. After lunch we found a beautiful fenced in dog park so Kona could get some exercise. We arrived in Boise around dinner time. After a quick shower we headed out for a stroll around downtown. This city is definitely more our speed. Downtown is very walk able and we had no trouble finding an interesting place for dinner where we could sit outside so Kona could join us. I’m excited to see some more of the city tomorrow and maybe take a hike in the foothills that surround the city.